I think written a little bit on the upper limits and how to purchase the Singapore Savings Bonds a few days ago. The special unique feature of the Singapore savings bonds is the ability for the bond investor to redeem the bond at par value, with no loss to principal. For those who are not aware, the general bonds can be usually traded, or bought and sold once they are issued. Their prices will go up and down and the investor can buy and sell them. The prices of bonds changes based on a few factors but one of the biggest influence is the interest rate. When the interest rate of newly issued bonds go up, it makes the bond you hold now to pale in comparison, and for this bond you hold to be competitive, you can only sell at a lower price. When interest rate of newly issued bonds go down, the bond you hold now looks better, and so you can sell them at a higher price. This is IF for some reason you need to sell it. If you hold a general bond to its maturity date, you will get back your principal, provided the company or government do not go bankrupt. With the current interest rate so low, it is a strong possibility that if the SSB issue today is 2.3% if you keep for 10 years, 1 to 2 years from now the SSB issued then could be perhaps 3 or 3.5%. Your current issue will pale in comparison to the one then. Your opportunity cost of sticking to the one issued at 2.3% will be 3 or 3.5%. When inflation runs high, most government will raise the rates to restrict spending power of all entities. In that scenario, the SSB yield might be 6%. If your bond at 2.3% have not matured, your opportunity cost now is 6%. That is why if you can redeem the 2.3% bond at par value, without a loss of principal, you can purchase the 3,3.5% or 6% bonds somewhere down the road, thus keeping up with inflation in some ways. Mr Liang Eng Hwa (Holland-Bukit Timah GRC) and Mr Patrick Tay (Nee Soon GRC) asked if the Government might consider issuing inflation-linked bonds. 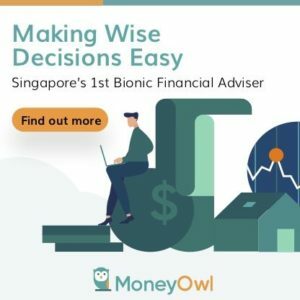 Mrs Teo said the Singapore Savings Bonds will offer a safe savings option for individuals while also allowing them the flexibility to redeem their bonds in any given month. While the bond is not inflation-linked, the full redemption feature allows bondholders to mitigate the risks of soaring inflation and higher interest rates, she said. When market interest rates fall, bondholders will benefit. On the other hand, when interest rates rise, bondholders can make use of the early redemption feature to redeem their bonds. They can then reinvest the proceeds in the new issues. Interest received on the bonds will be tax exempt, she added. Well it is certainly surprising for them to state this explicitly. It seems that this isn’t a loophole at all but somewhat planned. I wonder if everyone practices what I said, how can the government tahan mass redemption? Bonds are used for capital investments or to invest in higher yielding assets, so such a volatile movement to sums, could impede their capital deployment. More parameters to think about. Are you saying that we cannot lose with this bond and should place the maximum if we can afford it? Perhaps the returns will only be reduced only due to the redemption charges? Hi E U, likely around the 1 or 2 year SGS. Your evaluation is whether you want to earn the 10 year duration vs the lower 1 or 2 or 3 year duration. it could be the rates stay the same or go further down! I finally got what you mean. In a nut shell, you have the flexibility to adopt a short maturity bond ladder in a raising interest environment or to hold to maturity otherwise. Because the interest in the first few years are so low, a $10 bank charge (for e.g) will eat away your return if you only invest 1k per counter at this current environment. Hi Max, you articulate it very well! I am also in doubt of the charges but seems we will only know when its closer. I am just as surprise they said it out like that.